While you’re likely aware that today is National Donut Day, we thought you might not be aware that it’s also National Moonshine Day. Of course this means you should probably enjoy some Donut flavored Moonshine, but if your crazy cousin who lives in the mountains is fresh out, we have another suggestion. 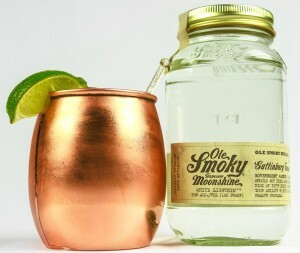 Ole Smoky Tennessee Moonshine is Tennessee’s First Legal Moonshine and comes in a variety of flavors, including their famous Apple Pie Moonshine. At 40 proof it’s perfect for being enjoyed straight out of the jar, but we thought a cocktail made with some stronger shine would be in order for this important day.